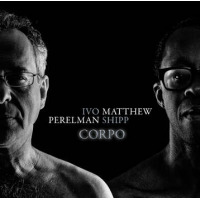 Inspired by the intuitive chemistry of his stunning new quartet with pianist Matthew Shipp, bassist Joe Morris and drummer Gerald Cleaver, Brazilian tenor saxophonist Ivo Perelman is in the midst of a prolific mid-career renaissance. After a successful tour supporting The Hour of the Star, the group's remarkable 2011 debut for Leo Records, Perelman decided to explore his relationship with each member of the unit in more intimate settings. The Foreign Legion is the second chapter in the series, following Family Ties, which was issued earlier this year by Leo Records. 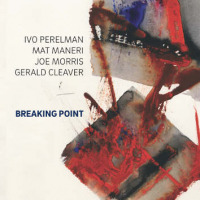 The aforementioned release featured Morris and Cleaver working with Perelman in an archetypal trio format; the newest session omits Morris, with Shipp taking his place, resulting in an unusual bass-less configuration. Despite the inclusion of a chord-based instrument, this effort ventures even further into vanguard territory than its predecessor; Shipp is a more adventuresome pianist than Morris is a bassist, which lends an air of capriciousness to the proceedings. 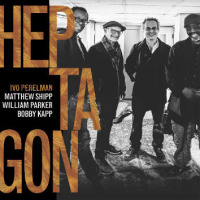 Shipp's mastery of post-harmonic dynamics enables Perelman free rein to indulge in extended bouts of unfettered lyricism, veering from the ecstatic refrains of "An angel's disquiet" to the bluesy musings of "Paul Klee." The saxophonist's penchant for bristling expressionism has been well-documented on the nearly forty albums credited to his name. As a passionate devotee of New Thing era tenor stylists, his technical approach towards the instrument embodies a range of extended techniques, including altissimo glissandi, double tongued cadences and overblown multiphonics. 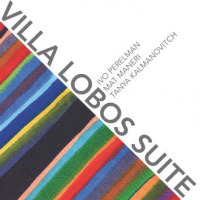 Shipp's percussive attack and fondness for minimalist motifs are perfectly suited to accompany Perelman's emotionally impassioned excursionsas are the pianist's sudden shifts into romantic lyricism and impressionistic abstractiontangents for which the saxophonist shares an obvious affinity. 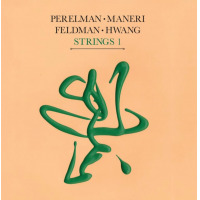 Whether pirouetting through the rhapsodic contours of "Mute singing, mute dancing" or negotiating the labyrinthine detours behind "An abstract door," Perelman and Shipp's deft interplay regales with a synchronicity that borders on the clairvoyant. Supporting these intrepid virtuosos are Cleaver's subtle yet emphatic trap set variations, which gracefully ebb and flow within the context of vivacious three-way conversations. His ability to convey escalating force with restrained accents and underscore introspective ruminations with attentive delicacy yields multihued layers of percussive detail. His nuanced cymbal work accentuates Perelman and Shipp's hushed duet on "Paul Klee" at the threshold of audibility, while his roiling palpitations on "An angel's disquiet" push into the red. 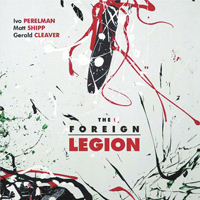 The Foreign Legion is Perelman's eighth record named in honor of one of Clarice Lispector's novels. Emboldened by the stellar contributions of his empathetic sidemen, the leader's cathartic performances transpose the Brazilian author's emotionally charged narratives into pure sonic expression, continuing his fertile exploration of a vibrant new tradition. Track Listing: Mute singing, mute dancing; An angel's disquiet; Paul Klee; Sketch of an wardrobe; An abstract door. 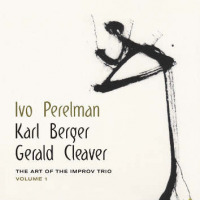 Personnel: Ivo Perelman: tenor saxophone; Matthew Shipp: piano; Gerald Cleaver: drums.